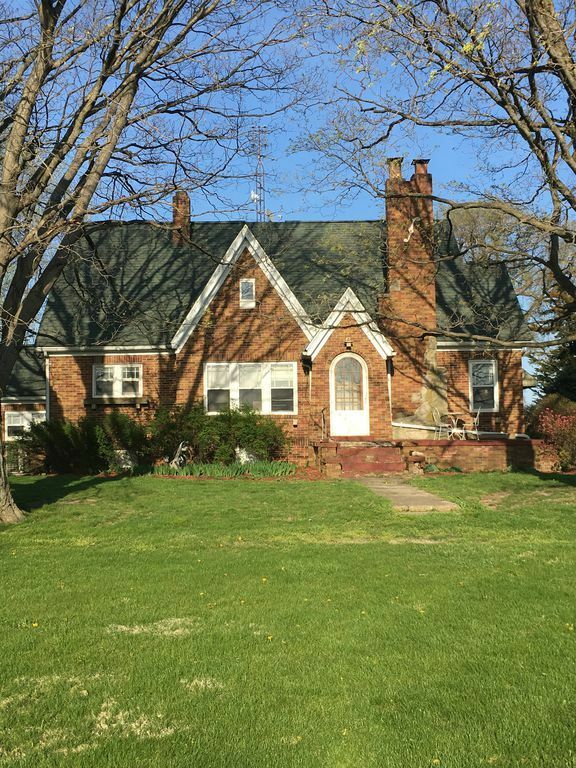 *** Please contact the owner directly (217) 825-8860 *** 1937 brick English Tudor Farm House on 3.5 acres 2 1/2 car detached garage with 8 ft. doors. Low maintenance brick exterior with all windows wrapped. Original oak woodwork, hardwood floors, fireplace with original oak mantle, 2 out buildings: 60 ft. x 40 ft. pole barn, 60 ft.x 30 ft. grainery WHAT I LOVE ABOUT THE HOME Lovely rural setting with room for family and hobbies. Central A & M school district provides excellent athletic and scholastic programs. Original oak woodwork was never painted, Woodwork has been refinished to original beauty. Large pole barn and grain storage building. Mature and younger shade trees. Mature fruit trees and berry patch. Room for an animal pasture. Large productive garden to grow your own fresh produce.